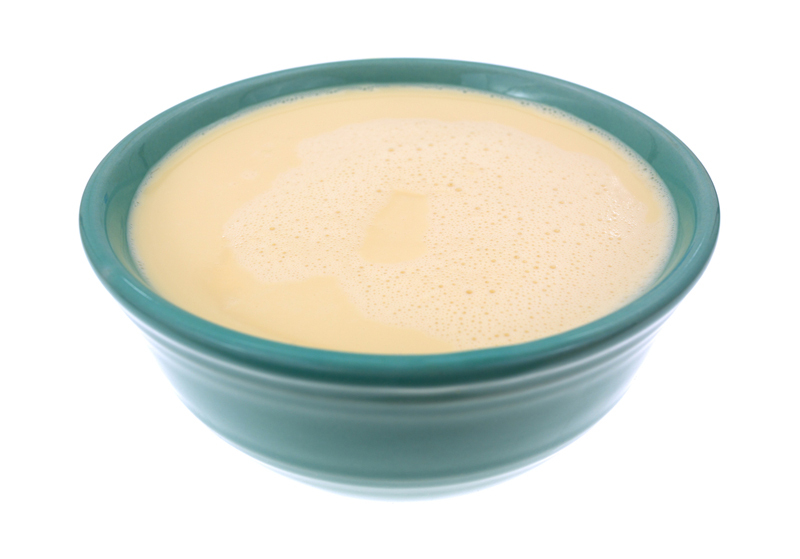 Evaporated milk is made from reduced or whole fat milk and adds caramel-like taste and creaminess to any soup, sauce, and even desserts. It is canned low-moisture milk that is also shelf-stabilized, which offers the rich texture of condensed milk but without the extra sugars. It is ideal to use especially if you are aiming for more savory preparations. You have a can of evaporated milk in your kitchen cabinet and might have asked this exact question: How long does evaporated milk last? Wonder no more as this post will tackle the evaporated milk’s shelf life, its proper storage, and the signs on how to tell if it has gone bad. Make sure that you put your can to good use before it goes rancid. Evaporated milk is made by heating the milk until at least 60% of its water content has undergone evaporation. After that process, it is homogenized, sterilized, and packaged. The result is dense and creamy milk that is canned and stored for months. In addition, the heat in the process adds to its caramel taste and darker color. As with all food and drink items, shelf life is shorter if not stored properly. Canned goods such as evaporated milk usually have a best used by date, which is the manufacturer’s assurance that their product will still be in its good quality. With this, it can be assumed that you may still use your evaporated milk even past that date. For evaporated milk, you have to be aware that the shelf life will also depend on whether the can have been opened or not. For unopened evaporated milk, it will be able to last up to a year past its best by date in the pantry. Low-fat skim evaporated milk, however, will only be good for another 9 months after the best by date. An opened can of evaporated milk only lasts for 3 to 4 days in the refrigerator. Given the small period of time evaporated milk can last after its can has been opened, make sure you read the later sections in which I discuss with you how to store them properly. Doing proper storage can do wonders such as extend an opened can’s shelf life a little longer. An open container of evaporated milk makes it more perishable. Once you break the seal, the air instantly reaches the product, which makes its long shelf life rather useless. Once it has been exposed to air, the evaporated milk will become more like regular milk but will spoil a lot faster. 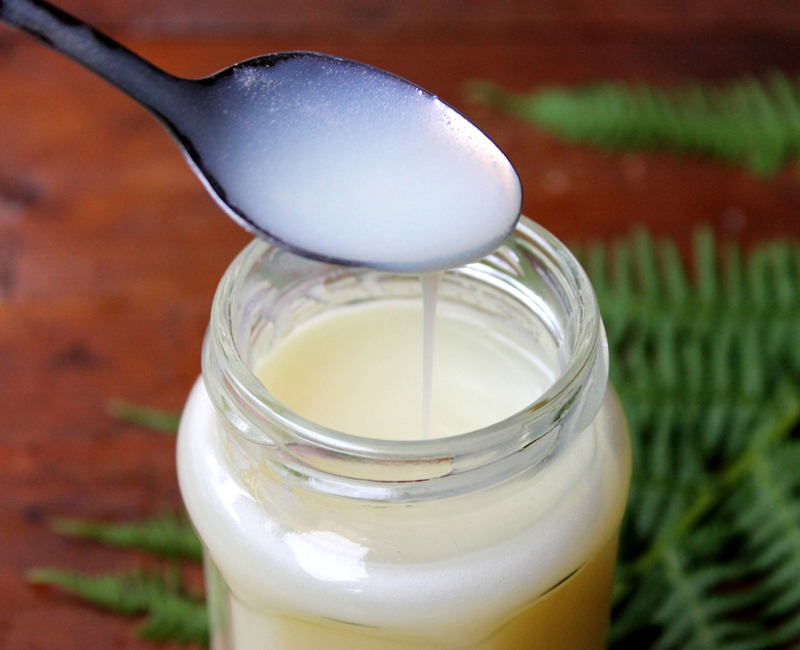 How Do You Properly Store Evaporated Milk? As discussed above, proper storage of evaporated milk is essential to keep its long shelf life. To extend its shelf life, you have to transfer the contents of the can into an airtight container and place it in the refrigerator. You should also be informed that the can itself couldn’t be stored in the refrigerator. Unfortunately, freezing evaporated milk is not a great alternative because it only destabilizes its structure. To add, the thawed milk will only be separated and remixing of the content is nearly impossible. For unopened cans of evaporated milk, you just have to store it in a dry and cool place such as your pantry or kitchen cabinet. If the can shows bulges and rust, you have to throw it away. Another storage option is to pour the milk into a re-sealable bowl so you can see the milk clearly and examine its freshness. When you do this method, make sure you consume the evaporated milk within seven days, just like you would do for regular milk. 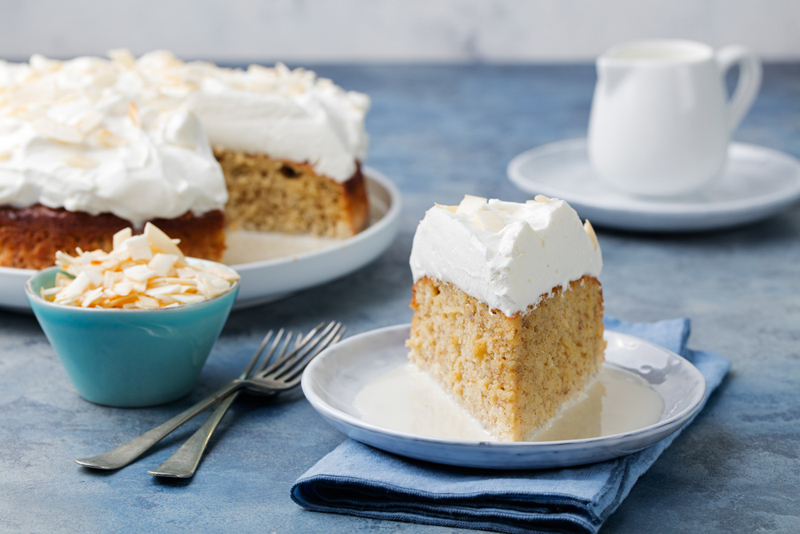 Some of the benefits of doing proper storage include healthier eating and food costs cutting because you don’t have to throw away unused but spoiled can of evaporated milk. Lastly, it can help the environment, as you are also avoiding waste. How Do You Tell If Evaporated Milk Has Gone Bad? Assessing your evaporated milk will go a long way in preventing foodborne illness. In this section, we are going to discuss what signs you should look out for to see if the evaporated milk has already gone rancid. These are very easy ways and you can totally do it by yourself. First off, check for the smell. If the smell is a little different or off, it might be in the process of spoilage and it’s best to throw it away. If it already gives off a foul odor, then the milk has obviously spoiled and you have to discard it right away. Same with odd flavor and appearance, you can be sure that it has already spoiled so throw it away. 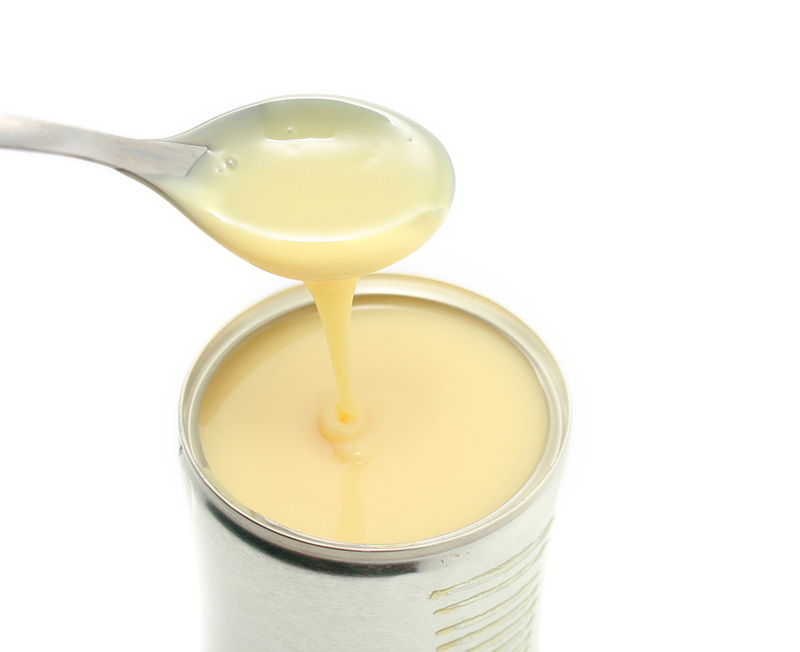 If the evaporated milk can is still unopened, check for any signs of bulges and rusts. If it has any of them, it might also be best to throw it away. Be sure to check the earlier sections where I discussed the shelf life past the best used by date because not all products instantly spoil the day after the said date. Evaporated shelf life will depend whether it has been opened or not, along with proper storage. For unopened cans, it can last for a year. However, for opened ones, it can only last for days. Proper storage includes transferring the opened can’s content into an airtight container and refrigerating it. For unopened cans, a cool and dry place is the best place for you to store them. If the milk gives off a very foul odor, odd appearance and taste, you have to throw it away.